Austin is training with Outer Limits Sports to make improvements in muscle mass, strength, speed, agility, and power in preparation for the upcoming season. Added 20 lb and created an explosive first step. "Coming off of my junior year season I had to improve three things, size, explosiveness, and my hamstring. At Outer Limits, I was able to put on twenty pounds, strengthen my legs to create an explosive first step that I've never had, and keep myself healthy for next year. It has all contributed to a very successful off season, and will be shown on the field come next fall." 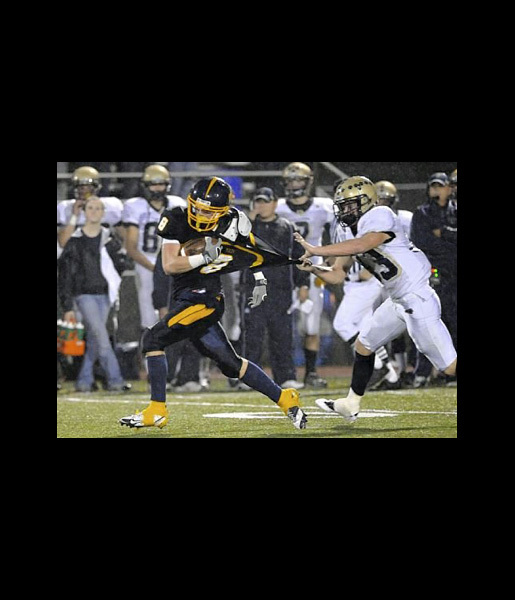 "Austin finished his junior year of football with 1,218 yards rushing, 14 touchdowns and 26 tackles. He had a successful year. However, he wanted to be recruited as a Division 1 athlete. Austin knew he needed to be bigger, faster, stronger and more explosive and he needed to do it in a small amount of time because in a few short months the recruiting season would begin. Austin set a personal goal to be in the best physical and mental shape possible at the beginning of his senior football season. He began working with Bill Nichol at Outer Limits in Valencia, PA in February and for six months he worked the program and diet faithfully. 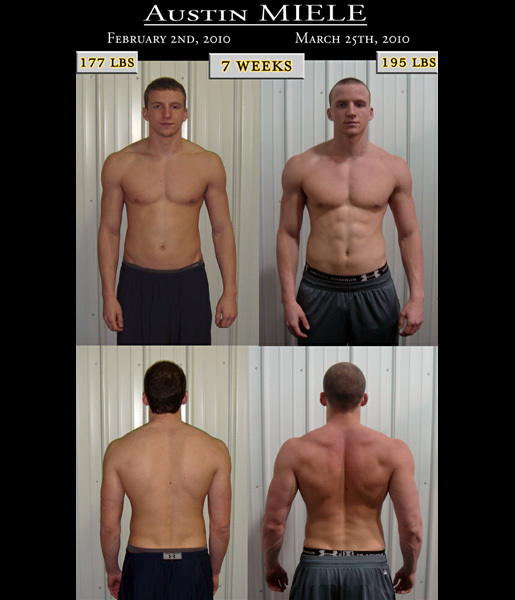 He added 20 pounds of muscle without sacrificing speed. His legs became powerful and his first step explosive. He gained agility, flexibility and his confidence grew. He believed in the program and it showed in his results. Austin had a tremendous senior season. He ran for 1,870 yards and scored 22 touchdowns. He led his team to the WPIAL AAA Semi Finals. 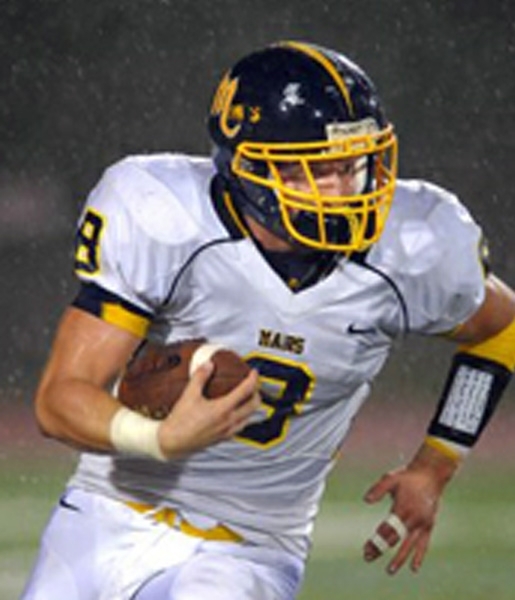 He was named WTAE Student Athlete of the week when he set a WPIAL Record running 448 yards in a single playoff game. Austin became the first player at Mars High School to rush for three consecutive 1,000 yard seasons. He was named to the Pittsburgh Post Gazette Fabulous 22 Team and the Pittsburgh Tribune Review Terrific 25 Team. All of these accolades were the result of his off season training at Outer Limits. He gained the mental and physical toughness that he needed to run through and around tackles. He had the strength to carry players on his back as he plowed forward to gain more yards. He had an explosive first step that gave him the ability to get past the first tackle and the speed to dodge others. Austin was recruited by several Division I coaches and accepted a full athletic scholarship to St. Francis University in Loretto, PA.
Austin achieved his goal with the help of Bill Nichol and his Outer Limits Program. Bill’s training techniques, knowledge and experience gave Austin the development he needed to be successful. They continue to train and work together to maintain Austin’s exceptional physical proficiency."